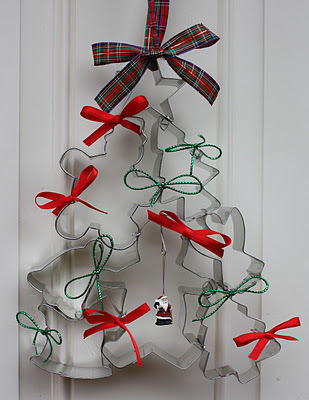 How cute would this cookie cutter Christmas tree from Frugal Frolic be hanging on your door? You could even hang it in your kitchen to add a little bit of Christmas cheer in there too. You It reminds me of a cookie cutter wreath I fell in love with right before we moved to Austin, but it takes about one tenth of the cookie cutters. 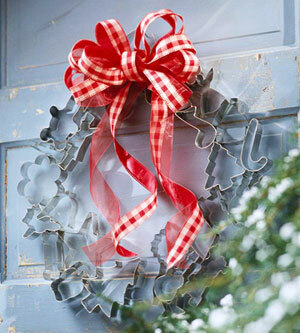 Even easier than a wreath is just using them as cookie cutter ornaments. 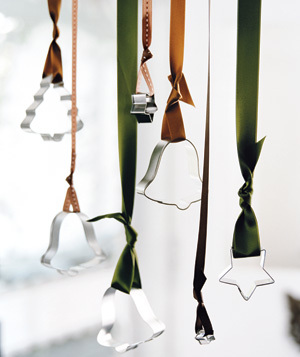 They are cute on your tree or hanging in your window. 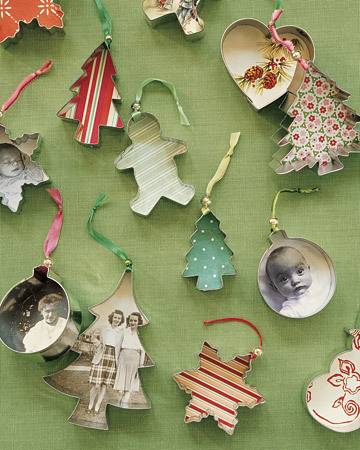 And you can dress them up with some patterned paper or pictures too, like these cookie cutter ornaments from Martha Stewart. And of course there is always room for some glitter too.